New guide and a new attitude - could be a game changer! It's always exciting when a new guide materialises marshalling the resources of a particular area; be it virtual or print copy, a buzz will always ripple through a community of climbers when a new tome arrives. I was particularly excited as I leafed through a copy of the Lancashire Bouldering guide. I must admit I was searching for something as I flicked through the pages of the book for the first time; something that added a certain nervous energy to my rabid page-turning. There was a good chance that a picture I had taken was in this shiny new book and, after a feverish couple of minutes, there it was: a photo of Fatneck dancing across a low roof in the dappled light of an early summer evening. I texted him instantly and announced that he was now 'Mr Parbold', an accolade that could sit proudly on his metaphorical mantelpiece next to the picture of him in the Merseyside Sandstone Guide that places the honour of being 'Mr Breck Quarry, Wallasey' on his powerful shoulders. Now, it would be hard for most to handle the responsibility of visually representing these quarries to the climbing masses, however Fatneck, in his usual modest fashion, took it all in his stride summing up the enormity of his feat with the following well-chosen words, "Fatneck- the face of choss''. I feel a career in politics or diplomatic relations awaits the great man. I've been to some of the Lancashire quarries in the past. I visited the Wiltons at the start of my climbing career in a previous trad incarnation. A trip to Brownstones resulted in me running back to Merseyside with my tail well and truly between my legs muttering inanely about no holds and hard grades. 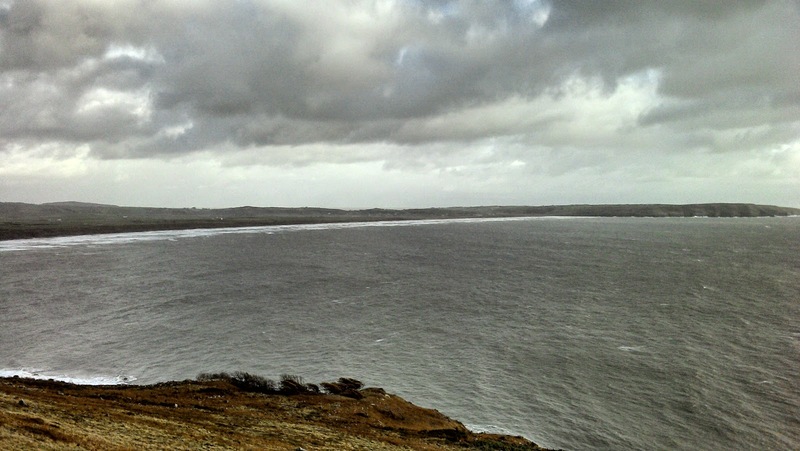 These two experiences led me to dismiss most of Lancashire as a potential playground in favour of the well publicised areas surrounding Leeds, Bradford and Silverdale. I fell into a mindset that the Lancashire quarries were technical, made mostly of flat walls dripping with old school boulder problems inaccessible to a climber like me who simply drags his feet behind him as his arms windmill wildly and ineffectively through steep terrain. I simply closed my mind to the potential on my doorstep in the Pennines. When I heard that a guide was coming it piqued my interest; I sought out videos and investigated what had been going on. I must admit, as good as the media was, it didn't really change my mind. Age can be a terrible thing: it can rob you of the innate optimism that drives the desire to give things a go, you can become blinkered, caught on a path of projects and progression, devoid of excitement and adventure. So rather than investigating the quarries and moors of Lancashire I sought adventure in the familiar and found my climbing horizons edging closer to me rather than stretching out indefinitely. The guide arrived and on first flick I hung on to the belief that this publication would do little to change my default direction of travel. But I didn't put it down; I kept flicking - going over and over the pictures, topos and descriptions. The longer I looked the greater my sense of awakening and the deeper the realisation that I had been wrong all these years. There is a massive playground out there in the boulder fields and quarries of Lancashire and I'm not too old to go out and play in them, I just need to regress back to my childhood self and reach that state where climbing is done for enjoyment rather than through some feeling of necessity . The acid test for the guide however would always be visiting venues and I'm glad to say a visit to a wet Stony Edge and Sladen Roof didn't do anything to curb my new-found enthusiasm. I didn't really climb anything but the potential of these venues was clear to see; the final wisp of the mists that have clouded my opinion of Lancashire evaporated, never to return again! Now I don't want this post to seem like one long advert for a new guide, to draw that conclusion would miss the point. This guide acts simply as a vehicle, a porthole to a new attitude and as such a whole new area to explore. For all of those operating in the North West and Merseyside this new book opens up so much potential less than an hour from the front door. Venues full of slopers, crimps, roofs, walls and mantles await your inspection and effort. Yes there will be some chossy lines, but choss exists everywhere- the secret is not to let the choss fill your perceptive filters. Don't cut yourself off from hours of fun because of a few minutes spent on a poor line. I for one will be spending my winter in Lancashire, guide in hand, captain of my own ship, setting forth on a tide of new lines and the spirit of adventure. If you want to find out more about the Lancs Bouldering guide you will find all you need to know here. Big thanks to R Man for letting me use his vids in this post. I have a hankering for grit. I want to feel its rasping grains exfoliate the callus built up on my tips over a summer of crimping. I want to slap slopes, hang off my bones rather than pull with my muscles. Most importantly I want to return home from a day's bouldering with the skin of my forearms and torso on fire- abraded by the silica grains that coalesce into gargoyle-like shapes on the tops of the Pennine moors, however it's too hot! August and its faint wet whiff of a coming winter lulled me into a belief system founded upon the central theory that the Grit would come early this year, Alas, just like the follower of many a modern-day cult, I was simply wrong- I was lucky to escape with both my skin and my long-held faith in this wonderful, luck-based, rocky medium intact! So, just as in July, Limestone has been the order of the day. Pulling rather than palming, standing on distinct edges rather than knowing that my foot will stick to any part of my boulder problem of desire. On the other hand it's dry and not going out on a sunny day would only allow deep, chronic injuries to heal - and what boulderer in their right mind would want to entertain such nonsense? It has been hard to stay motivated when indulging in one rock type exclusively. Many venues have been visited to engender some sense of variety in my climbing life: Ogmore, Dinas, Ruthin, Waton, Woodwell, Fairy Steps, the Pill box and The Cave have all taken a turn and all are still on the radar as the sun continues to shine. If you feel jaded on your own personal limestone journey of projects and pulling here are some videos from Sam to keep you going. Don't worry, the grit will be here soon and we will all be able to complain in chorus about bloody technical sequences........ and all will be good with the world. The first video features Ruthin, a crag close to my own heart; a brilliant after-work venue with a good spread of grades from V2 to V8. The video itself features a real 'misery of clowns', and the legend which is Fatneck. You can read more about Ruthin here and here. 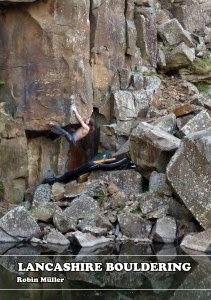 Ruthin Escarpment Bouldering - North Wales from Climbing Beta on Vimeo. The second video is from Woodwell, one of the finest Limestone craglets in the country; famed for its steepness, marred slightly by its rules. The video has a slight caveat attached: one of the problems featured, "Kiss of the Dragon", was not ascended as per regulation, so please don't think this is the beta needed for an easy V8 tick. The problem starts to the right of the crack and involves a long, stiff pull to get to the small crimps used in the vid. Woodwell Bouldering from Climbing Beta on Vimeo. So go and grunt your way across all the crimps limestone has to offer. You'll be dragging your skin across something friction-full soon enough. My fingers have not danced across the keys of a keyboard for quite some time. The reason for this is simple; the weather has been good and the Limestone crags that generally lurk in our deep river valleys, dripping, dank are actually dry! So dry in fact, that any thought of typing or training have been wiped from my consciousness by an insatiable need to climb. 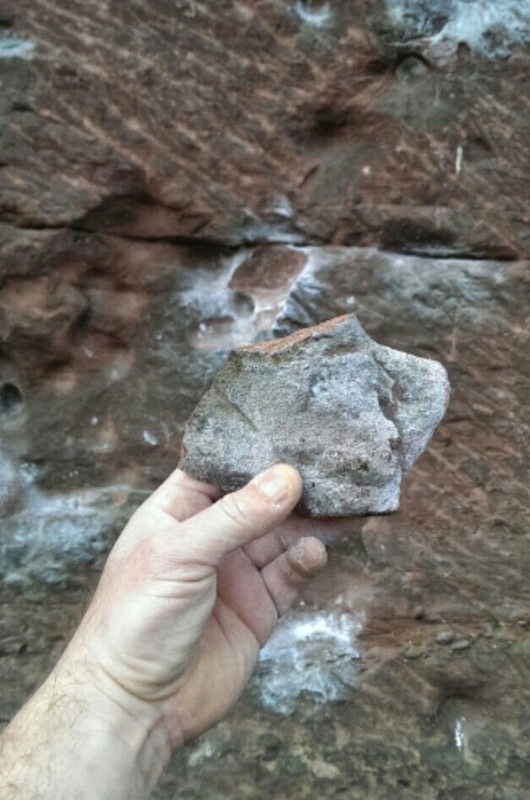 As the summer sun has heated our landscapes and bathed the hill tops, all rock with a high silica content has been rendered un-climbable, radiating heat and causing skin to roll off finger tips at an alarming rate. 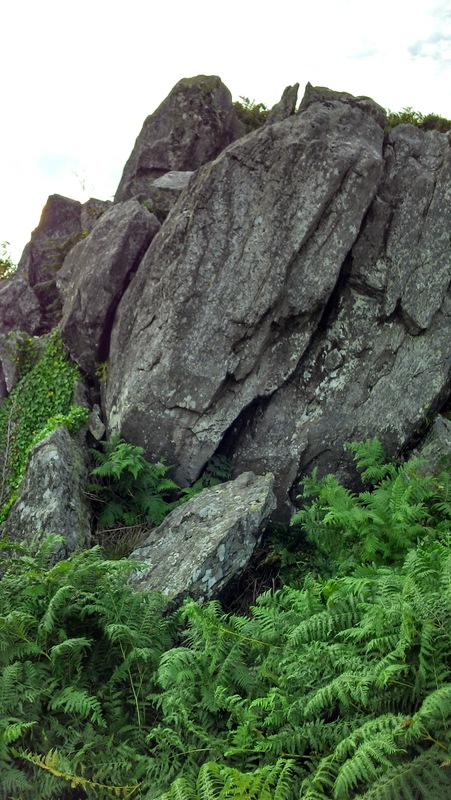 The sanctuary afforded by shady limestone has become hard to resist and crags from the North East of Wales to the South of the Lake District have been plundered for their potential and their protection from the sun. If the climbing wall is getting too hot, and you need to escape into this summer wonderland of dry rock and long days I hope the following videos will inspire you to get out and leave that campus board alone. Both short films feature Devils Gorge, a favourite of us Scouse climbers, and a particularly good spot to find good conditions in the morning in a hot sunny summer. Both films come from Sam, visit here to see more of what he has been up to. This post is a confessional, an admission of guilt, a cleansing of the soul. I have done a bad thing- something reprehensible, something I just can't undo. It's a simple case of murder, murder most horrid and I am the perpetrator. I will not make excuses: I am guilty, I just need to share this burden before they send me away to dwell with others who are guilty of crimes against climbing. It was the last Thursday of term, the hour had sprung forward and there was enough daylight to climb after work. I was due to train, however the fine grain of the wood I was about to work repetitively did not appeal. I needed to feel fine granules of rock under my tips. Time was short, darkness was approaching, an hour at Pex was all I was going to get; however an hour on Pisa Wall in my world is the equivalent of a full-blown session anywhere else. I jumped into the car and disappeared into the gathering gloom. As I drove eastwards, showers plagued the Cheshire plain and a strange half-light dulled the edges of reality; everything felt dark, an edgy atmosphere gripped my car. Nevertheless, when I arrived at the quarry I was relieved to find everything dry; though the feeling of unease lingered. Pex had escaped the showers and the rock was good and grippy. The feeling of friction transmitted through my fingers lulled me into a false sense of positivity, whilst everything around me warned that evil was near. Happily trapped in my dynamic bubble, bouncing between holds, I did not notice the skies darkening and remained blissfully unaware of the horror that inched its way towards me. The deeper into the circuit I got, the more vulnerable I became. My own enthusiasm made me greedy for more problems, milking the light for every last move it could facilitate. In my rabid state I was unaware of my own gradual slide into darkness, little did I know that I could be capable of dastardly deeds, that I would be the villain of this piece. So, I admit it was me; I pulled the hold off Pisa at Pex. I disproved the prevailing theory that this wall was made of unbreakable sandstone that could stand up to the elements and all that could be thrown at it for all eternity I will take my punishment, hanging my head in shame. I am a killer full of remorse. I mourn the myriad of eliminates that have now been lost to the world and can only hope that in time I will be forgiven; it is more than I deserve. Thanks to Fatneck for collecting the evidence in the photograph above. 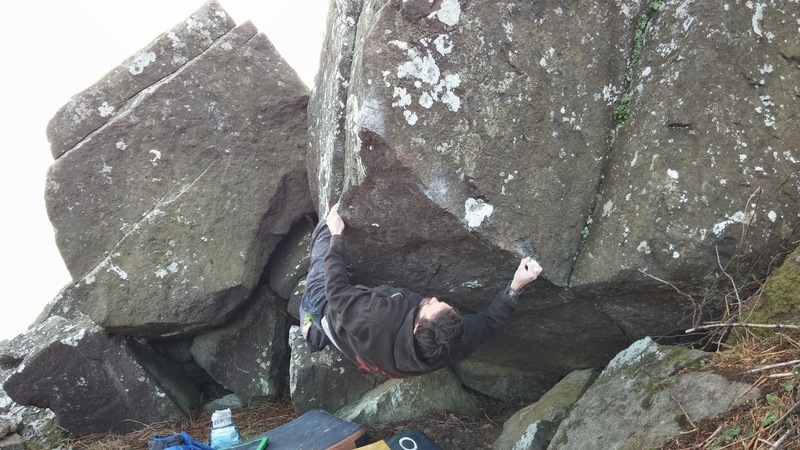 I have said it before and I will put it out there again; dolerite is my favourite climbing medium - by quite some margin. The Boss Curiver Bloc hidden in the evergreen expanses which guard Beddgelert, the erratics that dot the majestic Ogwen and Llanberis valleys, the chaotic jumble secretly secreted in Crafnant’s upper reaches and the blue stones that sit proudly on the hilltops of North Pembrokeshire; I just can’t get enough of it. Deconstructing the dolerite experience gives us some pointers as to what makes it so addictive: dolerite can be rounded like grit, or angular- laser cut almost, like granite; lines always follow strong features, holds can be pinchy, sloping, or even savage and crimpy; however they all have one thing in common – texture. Dolerite is like shark’s skin, it has possibly the best frictional qualities of anything (rock or otherwise) that I have chosen to slap in my entire life. On a cold day you almost feel able to pull yourself up holdless dolerite faces through the adhesion created between your skin and this rasping rock alone. One salient feature elevates the dolerite experience above all others and that is the effect of location; location, location, location. There’s nothing quite like a boulder with a view, a grassy landing front and back and the potential for further development when the correct resources are available. My favourite dolerite venue of the moment nestles on the hill in the middle of the sleepy town of Rhiw, far out on the western tip of North Wales. To most this small town would be an inconsequential cluster of whitewashed cottages with a priceless view and an air of the 1930’s. To the rabid boulderer it serves as the gateway to Porth Ysgo with its proud technical lines and miraculous micro-climate. We’ve all driven through Rhiw and looked at the dolerite hog back there on the hill. We’ve all thought, “hmm I wonder if there is any potential there?” and we have all driven on, dazzled by the promise offered by Ysgo’s stellar lines. Recent developments have changed that. A band of super-keen individuals have brought this crag to life, (you can read about it here and here) sending and reporting enough lines to get a Merseyside boulderer to stop and look on the way to Ysgo. My first visit to Clwt y Fiaren and the Fisherman’s View Boulders was only meant to be a short fact-finding mission, an aperitif to my main course which was to be served at Porth Ysgo. However I found the experience so absorbing I was still there shedding skin as the sun started to set; I just could not leave. A second visit was scheduled, but this time in the cool, sunny conditions of a spring Sunday. 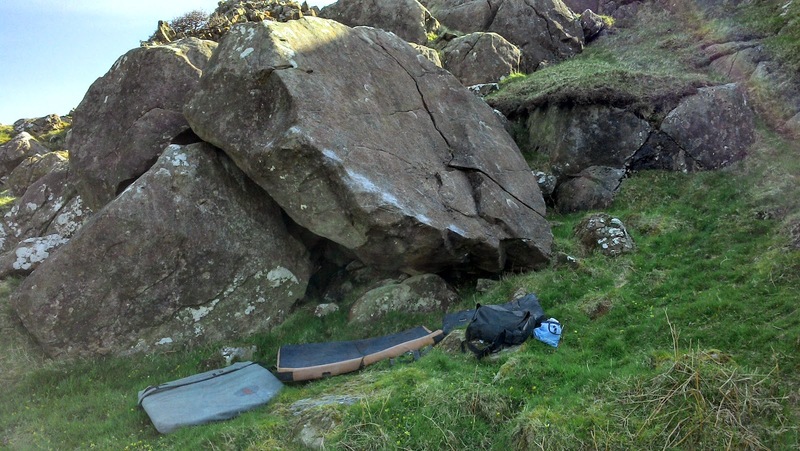 This trip confirmed what I had already suspected – this spot ranks amongst the very best bouldering locations in the UK. No really ……it is. Yes the site has deficiencies: there’s not a lot there and if you are looking for big numbers you will be disappointed; however the lines that have been developed are strong and proud and there is quite a lot to do around 7a. The element that places this venue in the bouldering premier league is the setting. You will have to travel a long way to live out your dreams in a better landscape. 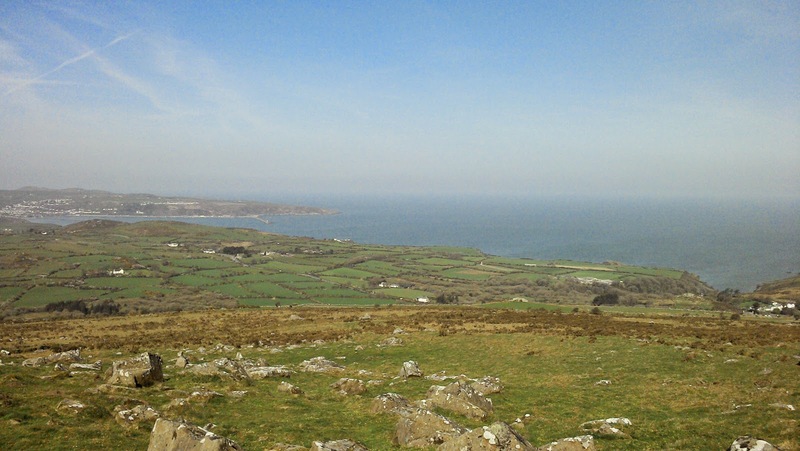 As you boulder on clean, rough dolerite the sweep of Hell’s Mouth arcs away into the distance towards Abersoch. 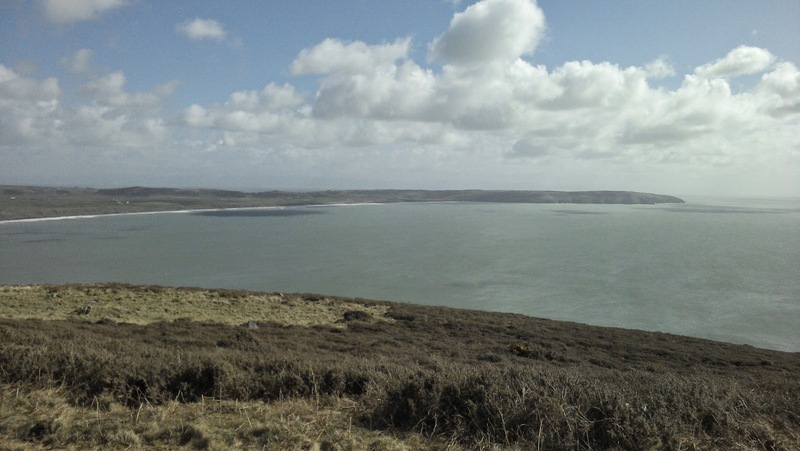 Corduroy seas ripple past and break on panoramic shores as seals and dolphins swim lazily by. . . Welcome to nature’s smorgasbord - it doesn’t get any better than this. 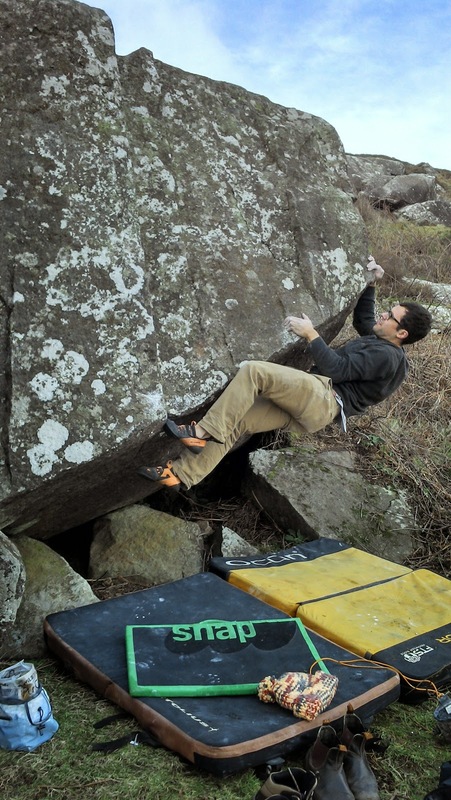 Bouldering can be more than pulling hard, training, grades and posturing. Climbing can be something deeper. Spending a day slapping slopers, bathed in spring sunshine, as the sea shimmers into infinity is as close to perfect as is possible. The boulders that populate the slopes around Rhiw are good; bouldering in this landscape is great – mind blowingly so! 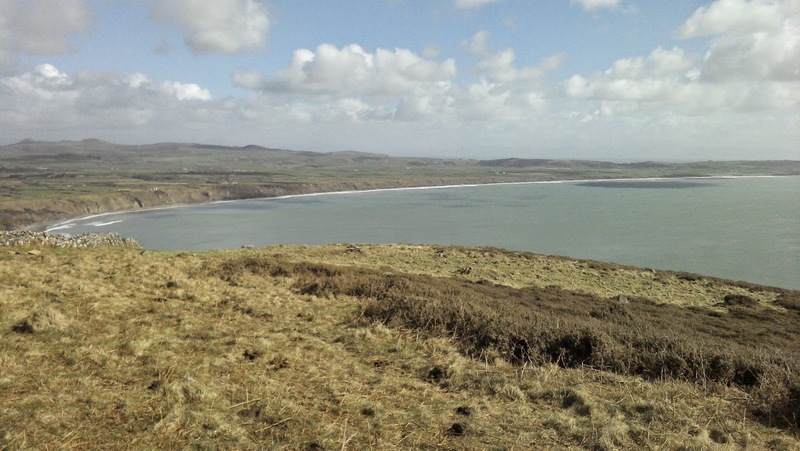 Go once and you’ll go again, even with Porth Ysgo on the doorstep. You really won’t be disappointed by this daze of dolerite. Thanks to Sam once again for the vid and to Hip Hop Ben for the first photo. Someone liked a video on my Vimeo account the other day. It took me a fair while to work out which video it was. The video in question was one I had actually made. It had remained hidden in a post in the now (mostly) redundant Raw Edge Days blog site that I used to contribute to. I watched it and realised that this video was worth posting again as the venue it captured has certainly been a major feature of my bouldering for a long time. I had forgotten about Anston Wood, forgotten about the magnesium carbonate crags that populate the edges of this green slash through Rotherham's post industrial hinterland. I'd forgotten about the diversity of angles, hold types and problems that call this wood home; most importantly I'd forgotten how much I enjoy climbing here! Pound for pound Anston is probably the best limestone bouldering crag in the UK. Big claim I know, but not many venues can boast this number of pure lines and link ups. It even has difficultly and suits those climbing in the high 7's and 8 rather than those looking for a big circuit day. The only thing that spoils this tranquil spot is the railway track that bisects it but, to be honest, the coal trains that use it are very rarely seen on a weekend. I hadn't been to Anston Wood in a long time. My last visit pre-dated the publication of the area guide book and thus I hadn't been led around Anston's various buttresses by the written word. I was there with Showtime; refugees from a typical wet Sunday over in the North West. A quick look at the glossy guide reminded me that I had been visiting this spot for fourteen years (according to a photo in the history section anyway). Even though it rained we climbed, even though I had been here a lot we discovered buttresses we had never climbed on, even though Anston Wood has a reputation for hard problems we climbed lots of quality below 7a. The rediscovery of my Anston video reminded me how good this place is. My visit with Showtime illustrated quite clearly that forgetting about a venue this good is more than just careless. Watch the video below and judge Anston's quality with your own eyes. The climber featured in this short is the author of all that is good on magnesium carbonate limestone - M'adams himself. Enjoy! 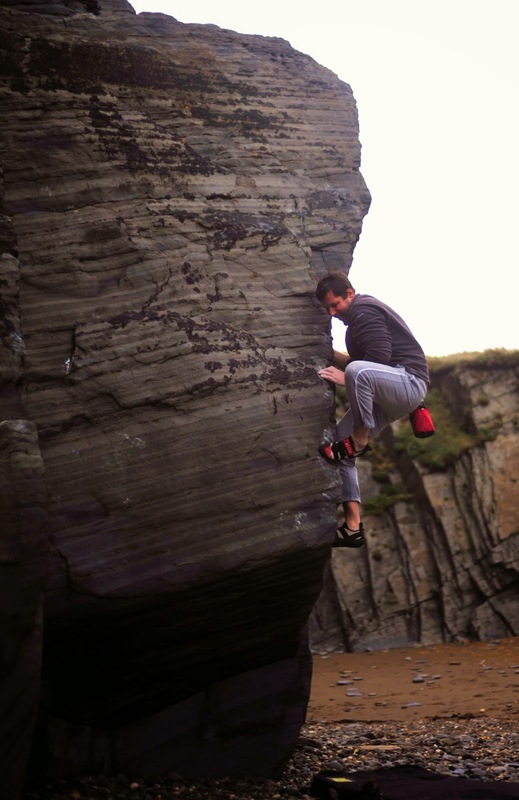 Magnesium Bouldering Action from Owen McShane on Vimeo. Labels: Bouldering Road trips, Magnesium Carbonate limestone bouldering., Yorkshire Bouldering.